These North Eastern Designs On Your Stationery Will Make You Want To Take A trip To That Part Of The Country! 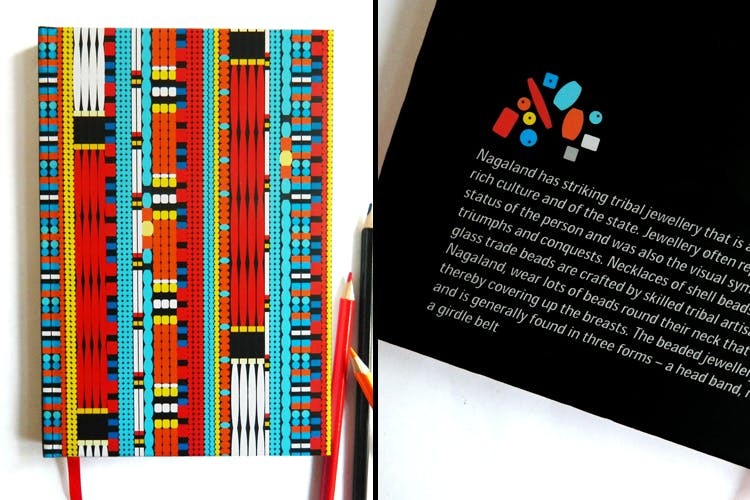 NEst is a line of beautiful notebooks and stationery by designer Arpit Agarwal, and what makes them stand out is their inspirations and symbols taken from the North East. Found on Postbox.in, the designer hails from the North East, and has created gorgeous stationery, each bringing with itself a tale to tell. A sunny bright hardbound with a tribal woman from Arunachal Pradesh tells us about the tribe and their patterns, one has a print of the bamboo dance of Mizoram, another with the Naga Bhut Jolokia, supposedly the spiciest chilli in all the land. The notebooks are beautifully bright and attractive, and at the back have more information about North East, making us more aware of the beautiful eight states during our doodles and dawdles. Besides notebooks, there are coasters, badges, and more. We love the stationary here, and we bet you will too. So browse through the collection online and buying them is just a click away!